Little Paper Shop had a fun sketch to play with this week so I gave it a whirl. Wow, lovely, I'll bet it looks much nicer in real life. Love the fringing. 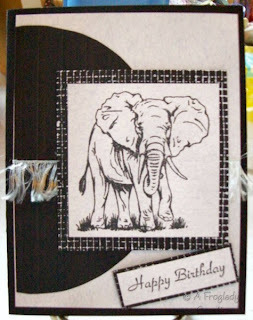 great universal birthday card, love the fringe! Great card all the texture. this is fantastic!